These tricks apply to all versions of Safari, Chrome, Firefox, and iOS Safari, in Mac OS X, and for respective versions of the same web browsers on Windows and Linux too. Thanks for your many informative articles. Rob – you beat me to the punch, Noscript for Firefox is the best way to go. It gives you very fine control over what does and doesn’t run. When you visit a it will tell you all of the domains that attempted to run and you can allow individual pieces (or a one time allow all, or a white list this page). It means that you never have to worry about forgetting to turn off scripts if you are wandering down the less well traveled paths. 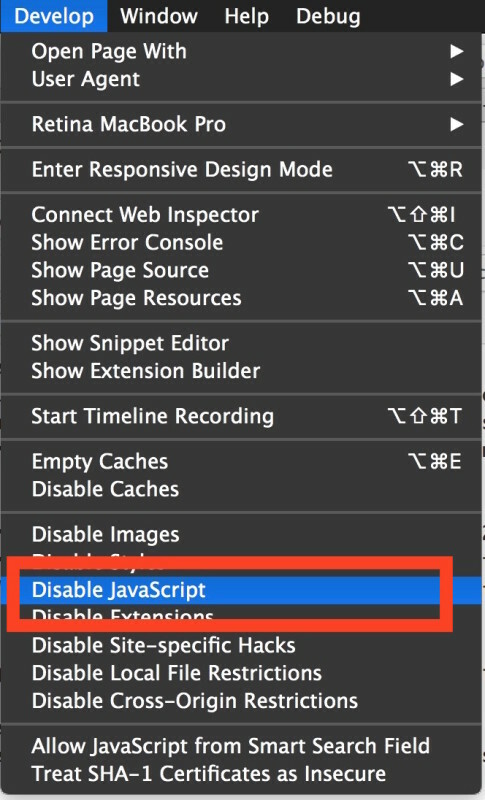 How to prevent sites from enabling javascrip on iphone?